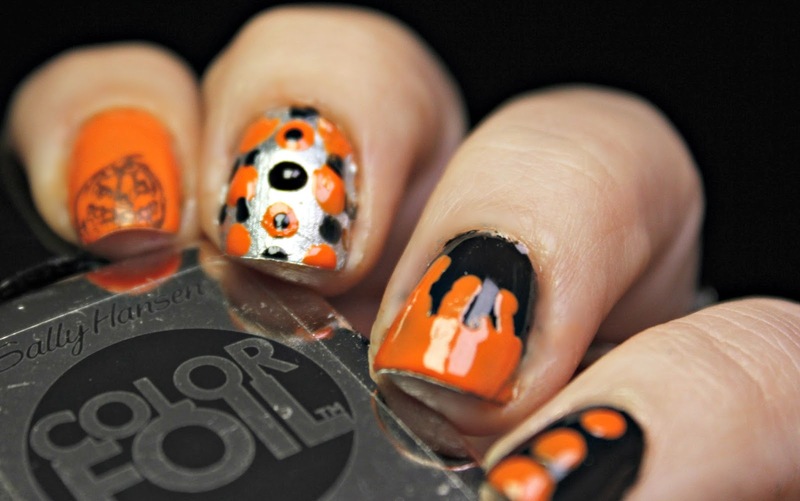 Ohhh I just love Sally Hansen Halloween colors. They are like the perfect black and perfect Halloween orange. 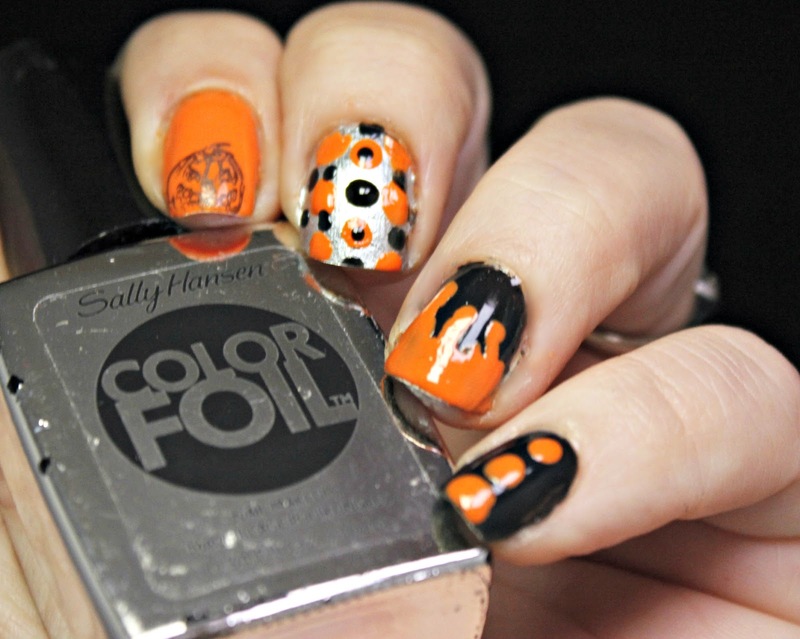 Sally Hansen Miracle Gel is perfect for your Halloween party polish. It will last longer and shine brighter. For this little skittle design, I did a creepy pumpkin stamp, a little pumpkin blood drip and some fun dots. I wanted to do something fun but still creepy! It is Halloween after all! I was also doing this midweek and wanted it to stay throughout the weekend. Perfect pick! 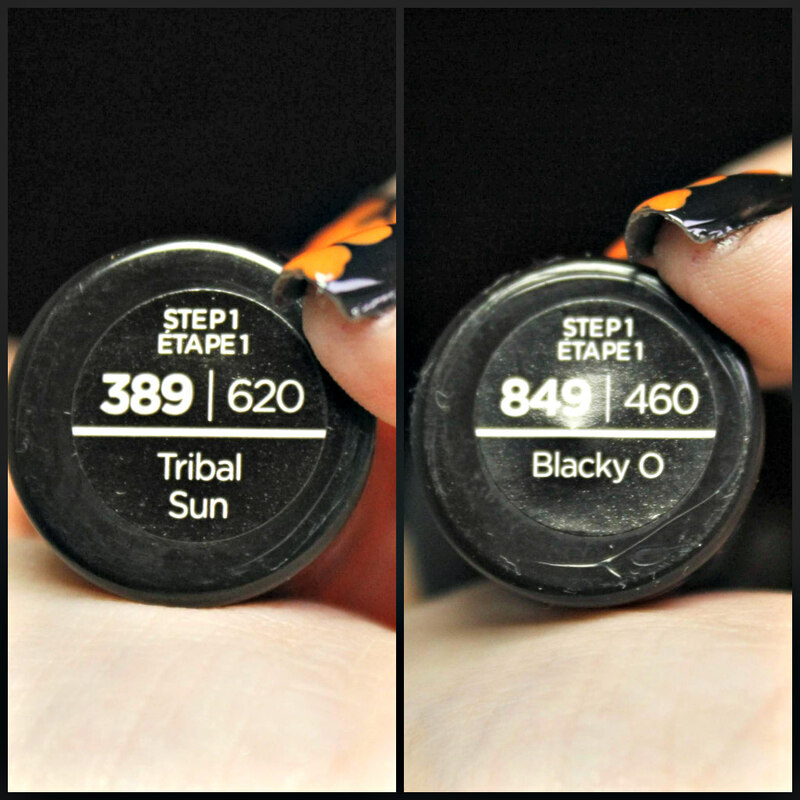 I have used Blacky-O before and I love it! It's my favorite black gel polish. It stays deep and dark and dries super shiny. It stayed put through bagging leaves, grocery shopping, pumpkin paining and baking. Whew, I was busy BUT at least my nails looked cute! What do you think of this fun and creepy Halloween skittle? 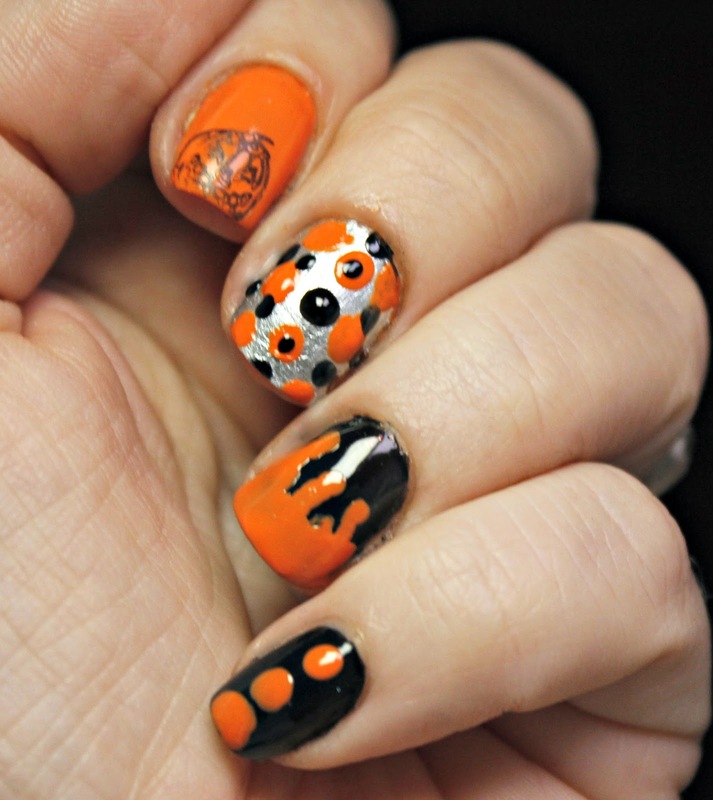 Did you do something fun for your nails or makeup for this Halloween? Show me at @colormesocrazy on pretty much every social channel. Stay tuned to Szizzy12184 on SnapChat to see what my Halloween day nails are!